This was the first chase with Mike and Connor, which is surprising after all these years. We started off heading southwest towards Lawton and then west to Snyder and dropped south to Frederick near Vernon which was my target. A storm had already fired in TX, and was nearing Vernon, so we decided to just stay on the Oklahoma side and wait for it to come to us. I setup and was able to take some lightning photos with my lightning trigger as the storm moved towards us and across the red river. 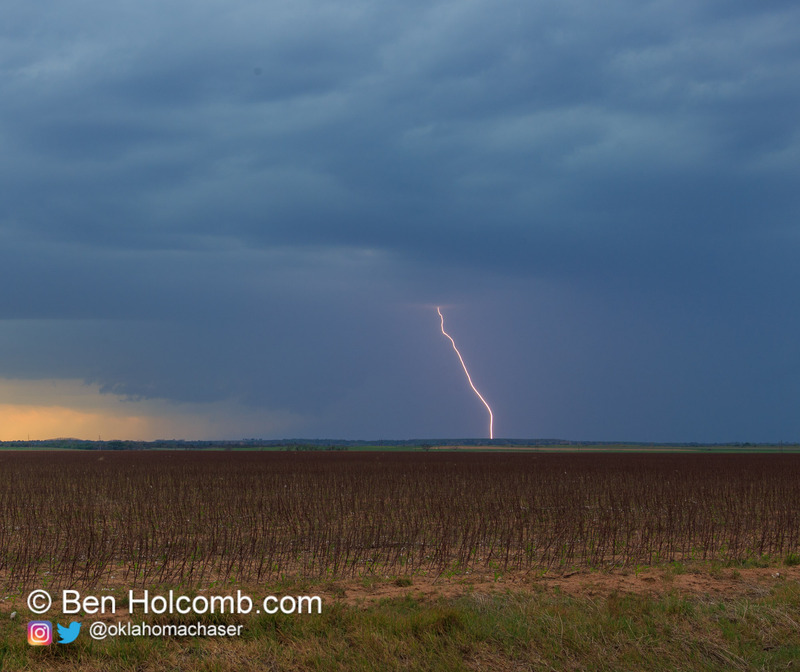 We followed the storm east/northeast towards I-44/Walters where it produced some nice structure. We continued to follow that storm and then started to head home before dropping back to I-44 and south to get the next storm coming out of Texas. Some fancy manuvering as we dropped south of the Red River to Burkburnett. I really thought the storm would produce, and probably had a funnel but was hard to see in the darkness. 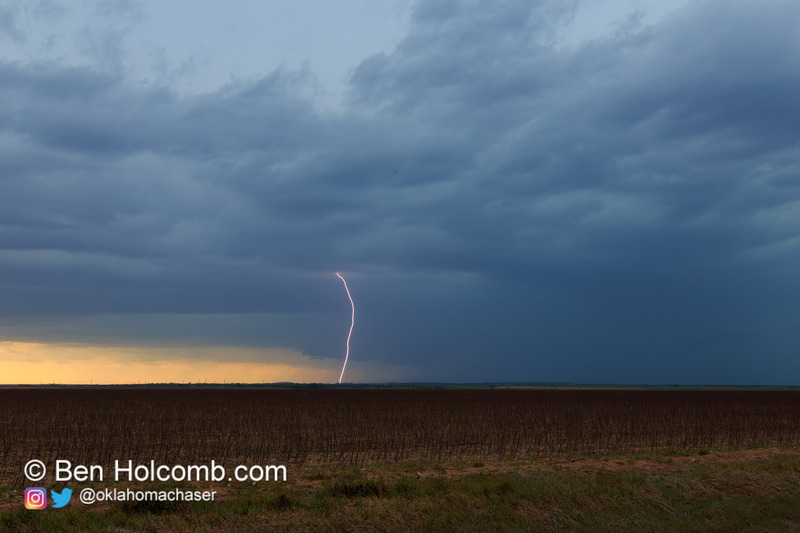 It was a chore to stay in the notch as the storm had become quite HP, but we followed it back to Waurika before it had fully puked and we headed home. A great first chase with Connor and Mike.